Expect to see wheels on roads in 2020. Tesla received approval from authorities to begin selling the Model 3 in Europe. 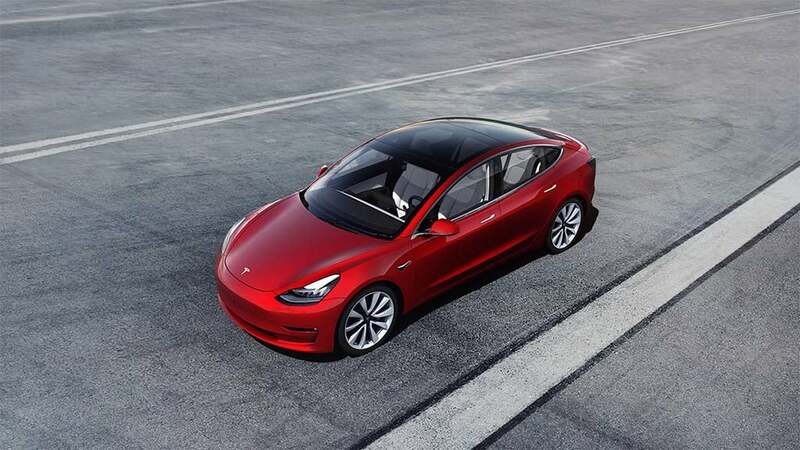 Reversing a string of unpleasant announcements, Tesla found out it has been given approval to sell its Model 3, its mainstream sedan, in Europe next month. The company’s latest introduction now meets the requires for European approval, according to data published on the Netherlands Vehicles Authority’s website. The group is of several agencies tasked with licensing vehicles and their replacement parts. The Model 3 is considered critical to Tesla’s long-term success. Indeed, it was Model 3 sales that thrust the company into the black in the third quarter of 2018 – the EV maker’s first ever in the black. Growing those sales is important. In fact, Tesla just broke ground on Gigafactory 3 in Shanghai, China, earlier this month. The new site will build additional Model 3 sedans as well as the upcoming Model Y, a small sport-utility expect to be coming next year. Getting a new market for its mainstream model can help it with costs. Moreover, it can help ease the minds of investors, who have been unhappy with the Palo Alto, California-based EV maker in recent weeks. Last week, the company announced it planned to layoff as much as 7% of its workforce to help reduced costs. All told, that would work out to about 3,150 of the people who work at Tesla’s headquarters in Silicon Valley, plants in Fremont, California, and Reno, Nevada, and other facilities. The move comes just days after Musk outlined plans to cut 10% of the workforce at his SpaceX rocket company. Tesla co-founder Elon Musk also tweeted his plans to end the company’s referral program, which includes free charging as supercharging stations. Complicating the carmaker’s problems, Tesla saw federal tax credits for its buyers cut by half at the start of the new year, to a maximum $3,750 a vehicle, because it crashed a 200,000-unit sales threshold. They will be halved again come July 1 and eliminated entirely at the beginning of 2020. General Motors will be the next to see the incentives start to phase out, starting in April. The Palo Alto, California-based automaker is hoping to minimize the impact of the cuts by itself slashing $2,000 off the price tag of its products. But that only cuts into its margins. Further complicating matters for Tesla, the automaker is facing a raft of new competitors. Volkswagen this week announced plans to spend $800 million to expand its factory in Chattanooga, Tennessee, to produce two new battery-electric models. Both will target mainstream segments – and not only the Model 3 sedan but the Model Y SUV Tesla is expected to unveil later this year. Virtually every major automaker plans to enter the long-range BEV market over the next several years. But Tesla still remains the king-of-the-hill. At a presentation in Detroit last week, Toyota North America CEO Jim Lentz noted that only one “electrified” model available in the U.S. generates more than 10,000 sales a month, the Model 3. This entry was posted on Monday, January 21st, 2019 at and is filed under Automakers, Automobiles, Business, EVs, Electrified Vehicles, Europe, Events, Executives, Markets, Personalities, Politicians, Sales, Sales, Sedans, Technology, Tesla. You can follow any responses to this entry through the RSS 2.0 feed. Both comments and pings are currently closed.